The virtues and status of a career diplomat of India would not register easily in the minds of a vast majority of Indian citizens: the occupation of 'lying abroad for the good of the country' has, perhaps, still to sink into the imagination of not only an average Indian mind but even of highly educated Indians. It is the Deputy Commissioner / Collector and the Superintendent of Police - and the Income Tax Officer in the current scenarios of India - who would seem to symbolize for the common people the currency of power and prestige of state rather than a First Secretary, Consul General, Minister or even an Ambassador in one of the far flung 178 diplomatic missions. The Indian Foreign (read: Diplomatic) Service was launched vide a cabinet decision of October 9, 1946 for the soon to be independent and sovereign India, with a regular recruitment starting in 1948. Prime Minister Jawaharlal Nehru chose not only to be his own Foreign Minister but continued to take a deeply personal interest in the selection and grooming of the personnel for the newly created service to conduct diplomacy and promote the national interests of India in the international arena. Apart from the Officers of the ICS/other Central/Princely States Services and the Defense Services, PM Jawaharlal initially inducted a number of eminent academicians/journalists and quite a few Princes/aristocrats for a career in the Foreign Service. It might be surprising to note that out of the 294 Indian Foreign Service Officers in the cadre till 1968, more than 200 might have been personally interviewed for selection or called for discussion of files by the Prime Minister as Foreign minister. PM, as per the popular story, had to make a strong intervention in 1957 to enable Syed Shahabudd to join the Foreign Service over-ruling the police report against him as a student leader in the Patna University. 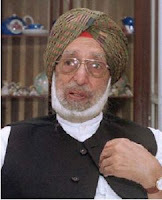 Shri KR Narayanan, born on Oct. 20, 1920 of a humble origin but a bright student, later to be a favorite pupil of Prof Harold Laski and Sardar Gurbachan Singh, born on Feb. 9, 1923, son of Sardar Bahadur Mohan Singh of Rawalpindi, a former Member of Privy Council, were both appointed in the Foreign Service in 1949. The two would indeed blossom as role models to emulate in representing the best and the noblest in the diplomatic service of India. I was privileged by destiny to know them both, a generation later: wish I had been posted to serve under them! Shri KR Narayanan, as President of India, signed on May 3, 2002, my letter of credentials as High Commissioner to New Zealand while Sardar Gurbachan Singh presided over my first public lecture in retirement delivered at Bhai Vir Singh Sahit Sadan, New Delhi, on Nov 11,2006. The above paragraphs are a prologue to pay my soulful tribute to Ambassador Gurbachan Singh who passed away on Oct. 7 at the age of 89, leading an eventful and meticulously disciplined life. He had been a unique witness - and pious participant too - in the history of India as one of the ablest diplomats and the historic Punjab as the noblest son of the soil and a dedicated follower of the faith born in the land of five rivers. By all available accounts, he indeed personified the grace, dignity, generosity, brilliance of mind and above all for the qualities of a team leader who was reputed to be instinctively empathetic towards the junior colleagues dubbed as 'the staff' in the wooden bureaucratic jargon. Born in the palatial house in Rawalpindi famously named after him as 'Bachan Niwas' – to use the idiom I learnt at school, 'with a silver spoon in his mouth', he was a silver-tongued gentleman with a golden heart and a mind of 'platinum'. Blessed with a glowingly handsome visage and always immaculately dressed, mostly wearing 'Churidar with the finest Nehruvian jacket, sporting often a neatly tied turban at its artistic best, he indeed commanded, as if, a majestic attention wherever he was present. He was every centimeter an epitome of courtesy and gentlemanliness. The colleagues in Foreign Service and his large circle of friends recall how he was the most generous and meticulously charming host in his diplomatic career in the various continents and also for more than a quarter century of active retirement in his tastefully maintained home, No 12, Curzon Road (renamed Kasturba Gandhi Marg). The untimely and sudden death in Dec. 2007 of their multi-talented son, Tejeshwar Singh - a familiar profusely bearded philosophical face, a distinctly baritone voice and an impeccable accent of English - on the Doordarshan in the pre-color era, perhaps, changed it all for Gurbachan Singh and Mrs Shama Singh. Ambassador Gurbachan Singh would seem to be born, brought up and educated to be a quintessential diplomat in the service of India. Soon after his Post Graduation in Economics from Punjab University, he had been posted in the India Supply Mission, Washington in Sept. 1945 and continued to be there till April 1950 in the wake of his appointment in Indian Foreign Service. He was posted to Bangkok, London, Lagos, and Paris and was Ambassador/High Commissioner to Morocco, Kenya, Sri Lanka, Maldives and Switzerland with accreditation to Vatican. He held important assignments in the Ministry/Cabinet Secretariat including the post of Political Officer in Sikkim when the territory got integrated with India. Pighal gayee, laggi jara vee je 'vaa tatti'! Is it the faith or a fragile, little candle? In danger every moment, a fresh breeze blows! A remarkably active and polished individual, Sardar Gurbachan wrote in June 2009 to the Association, “I have not been able to attend meetings of the Association for over a year…because I have been quite unwell leading to several stays in the hospital …May I request you accept my resignation from the Editorial Board of the Foreign Affairs Journal.” The final communication was in July this year,” Shama and Gurbachan Singh are moving house by the end of July, 2012…They will in due course inform you when they relocate to a more permanent abode.” And then the obituary pages of the two leading dailies of Delhi informed on OCT. 9 that he "left peacefully with Satguru's th grace on 7 Oct. 2012…"
With the passing away Sardar Gurbachan Singh, the Punjabis in the capital have lost another stalwart of the community. 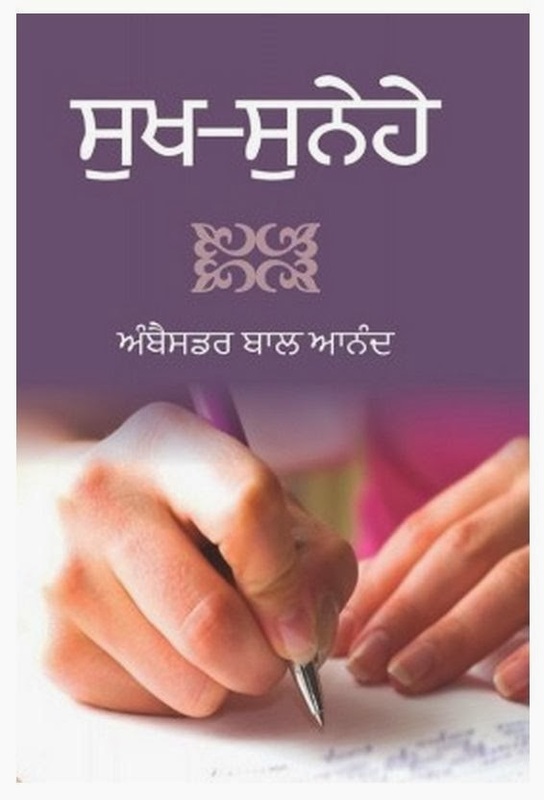 Having chosen Delhi to be my own home in the sun-set years, I have felt an indefinable void and diminishing of the Punjabiat in the demise in the recent years of great sons of the 'Mitti Panj Dariya di…sacred soil of the Five Rivers' including Gen. JS Aurora, S. Patwant Singh, Kartar Singh Duggal, Dr Amrik Singh and of course 'the daughter of Punjab' Amrita Pritam…the West Punjab had indeed embraced values representing the best of the spirit of Punjab. The latest accusations about the Punjabi youth drowned in the flood of 'Nashas - drugs' would make Prof Puran Singh turn in his grave. Thank you Sardar Gurbachan Singh…your life would remain a source of inspiration for your so many friends and admirers across globe and the Punjabis nearer at home! May your soul rest in eternal peace! !